It sounds crazy, but next year, millions of Americans might have to start using passports to fly -- on domestic flights. A decade ago, the U.S. government issued stricter standards for state-issued IDs, including drivers licenses. But four states have refused to comply: Louisiana, Minnesota, New Hampshire and New York. The deadline for upgrading is coming up in 2016. If those four states don't upgrade their ID systems by the deadline, the TSA will demand that residents of those four states use passports rather than drivers licenses to board flights next year. About 9.5 million drivers licenses have been issued in those states, according to government licensing records. It's possible that fewer people will be impacted if states take action soon. States have desperately begged for extensions. Minnesota didn't get one. "As soon as January 2016, Minnesotans may not be allowed to board federally-regulated commercial aircraft using a Minnesota driver license or ID card," the state's public safety department told CNNMoney. Two states were granted temporary waivers just this Tuesday, and now they're scrambling to pass new laws, make new cards and issue them to the public. The stricter ID standards are already being enforced elsewhere. Recently, people with New Hampshire drivers licenses have been turned away from federal buildings in Washington, according to New Hampshire licensing officials. The TSA will accept $55 passport cards and $135 passport books as valid ID. Following recommendations of the 9/11 Commission, President Bush signed into law the REAL ID Act in 2005. The law made fake IDs harder for criminals to obtain. 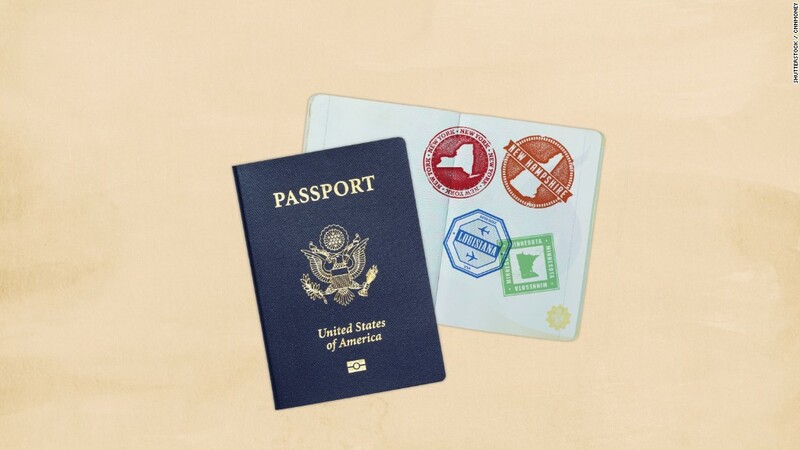 The REAL ID Act forces all U.S. states and territories to demand more proof of identity when issuing IDs, such as a verified original copy of a person's birth certificate. Plus, it also increases the technology present in the government-issued cards. Why are some states refusing to comply? At the time of the act's passing, some states feared the federal government would use the new IDs to make a national database of citizens, potentially using that information to spy on them. Others feared a power-hungry federal government was trying to assert ownership of the ID-issuing process. Some even worried that cards would have to include special computer chips that transmit wireless data -- possibly exposing personal information to hackers. Those fears turned out to be unfounded. But lawmakers in New Hampshire and Minnesota passed laws forbidding those states from complying with the new ID law. Louisiana and New York just dragged their feet and never bothered to adopt the new standards. New York has actually offered an "Enhanced Driver's License" for an extra $30 since 2008, but Department of Motor Vehicles offices never warned drivers that this more expensive option would soon be necessary to board domestic flights and enter certain government buildings. Minnesotans should get passports if they want to fly domestic starting in January. New York was granted a waiver, so fliers from that state with any form of state drivers license can continue using them for the time being. The Department of Homeland Security granted Louisiana a waiver that lasts until October 10, 2016. So residents can continue using their drivers licenses at least until then. The state legislature tried to pass a law to comply with the federal mandate, but Governor Bobby Jindal vetoed it. Louisiana will get a new governor next year, and Superintendent of State Police Colonel Michael Edmonson is hopeful the legislature will pass a law complying with the REAL ID Act in early 2016. "The legislature will meet with a new governor in the spring, we will have time to review this. My belief is that we'll take care this," Edmonson told CNNMoney. New Hampshire received a waiver that lasts until June 1, 2016, but the prospects for the legislature passing a law remain unclear. Governor Margaret Hassan pleaded with her legislature to pass a new law in March, but the state senate killed the bill. "Two-thirds of Americans do not have passports," she said in a statement at the time. "Lack of access to federally accepted identification could also hurt our businesses." She is now proposing a system that would have New Hampshire issue two types of IDs -- one that's accepted by the federal government and another that's OK everywhere else. Citizens would have a choice. New Hampshire DMV Director Richard C. Bailey told CNNMoney that he's still worried. "The outlook for a REAL ID license in New Hampshire is much brighter today than six months ago, but it's still not a guarantee," he said. "It's a real concern for me. I don't want to be talking to people like you that Sally couldn't go to Disney World because mommy couldn't get on an airplane."